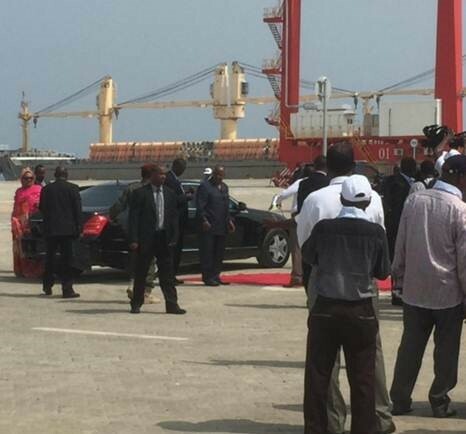 Inauguration of new Doraleh Multipurpose Port in Djibouti by His Excellency President Ismael Omar Guelleh (on red carpet). First vessel on berth carrying pipes in the back ground is a Massida client! Upto a good start!